Frederick Handley Page was trained as an electrical engineer. After a dispute with his first employer – experimenting with aviation in the company’s time - he set up his own business building first components, then complete aeroplanes for other designers. He built his own machine, a canard glider with tricycle undercarriage. That clearly had no future so he built the Bluebird, named after the colour of the fabric he used. It was exhibited at the Olympia Aero Exhibition in 1910. Powered by a 20 hp engine, he set about learning to fly in it. Straight flight was fine, but when he tried to turn, it crashed. He added wing warping and a larger engine. That didn’t help. Ever the enterprising businessman, he sold it to the Northampton Polytechnic Institute in Clerkenwell, where he was lecturing in aeronautics and where he built his first wind tunnel. A later series of aeroplanes, including the ‘Yellow Peril’, proved to be more successful. Handley Page was active in the Royal Aeronautical Society wrote many articles, enhancing his reputation as an aviation journalist. It led to an invitation from the Admiralty in 1914 to discuss the Royal Navy’s aircraft requirements. The result was a specification for a large twin-engined bomber, a ‘bloody paralyser’. ​HP took on the challenge himself. In the factory was a specially commissioned 60 ft span single engined biplane intended to compete for the Daily Mail’s £10,000 prize for the first trans-Atlantic flight. This was abandoned. He designed and produced what would be the largest aircraft built in the UK at the time. 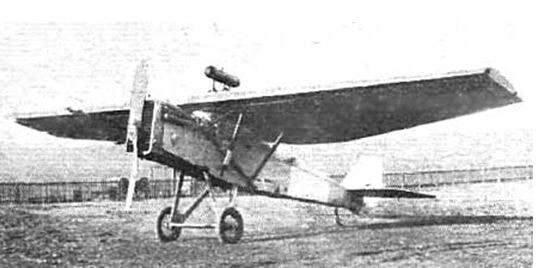 In December 1915, the first O/100 took to the air. Early trials were beset by problems, principally an oscillation of the tail, by as much as 15° to either side. The solution was only partially structural. Wind tunnel tests identified turbulence from the poorly streamlined engine nacelles, complicated by the counter-rotating engines. Gradually, the problems were resolved and production orders placed (including 46 made by Clayton and Shuttleworth at their Lincoln factory). The improved O/400 followed, with Handley Page constantly carrying out experiments to improve aerodynamic performance. ​He was particularly interested in improving the wing’s performance at slow speeds near the stall. He built a number of square panels of wing. Initially two panels were mounted side by side with a chordwise slot. That had no positive benefit. He tried a spanwise slot, set at 25% chord. The lift was increased by an astonishing 25%. Realising the commercial value of this he continued trials in great secrecy. His final design, a movable winglet, called a slat, fitted on the leading edge of the wing. Controlled by the pilot it opened the slot, effectively reducing the stalling speed. It was granted a patent in October 1919. 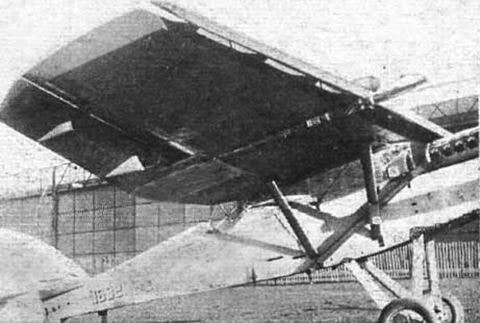 ​The first aeroplane to demonstrate, in October 1920, how the slot keeps the wing producing lift at high angles of attack was a modified DH 9, shown here fitted with its slats fixed in the open position. Handley Page was not the only one to have discovered this major contribution to aviation safety. In Germany, Gustav Lachman, a pilot and engineer, had tried to file a similar patent which was at first rejected. When it was finally granted he contacted Handley Page. There could have been a legal battle. Instead Lachman came to work with HP as a consultant. They combined their work and also applied the slot to flaps. The split flap had been invented by Orville Wright in 1920 to increase drag and lift for landings. Adding a slot between the flap and the wing offered generous quantities of extra lift to give even slower, safer landing speeds. 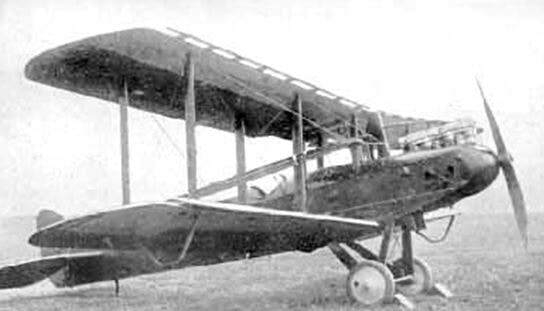 The DH 9 was converted from a biplane to a monoplane, the HP17, incorporating slats, flaps and also ailerons which also drooped when the flaps were lowered. 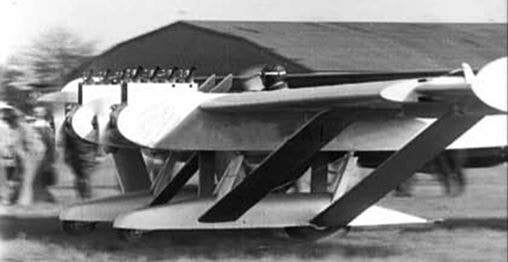 ​In one test, this 6,500 lbs aeroplane with its 400hp Liberty engine flew safely in level flight as slowly as 38 mph. The pilots complained that the large slats on the HP 17 were sometimes difficult to open. The design was refined. Using a smaller slat they found that as the angle of attack of the wing increased the airflow would automatically open the slat. The simplicity and tremendous benefit of this meant that the automatic slot became widely used and the royalties flowed in to the patent holders. ​The first commercial use of the slot in the UK was on De Havilland’s Moth. It was one of the factors which ensured its popularity. Sales were brisk and a metal-fuselage version was built on licence in Canada and the USA. The RAF specified slots for all its aircraft and the US Navy tested the slot on a number of aeroplanes. One of those chosen was a Curtis F7C single seat fighter and this pilot shows the camera how easily they opened. Aviation was developing rapidly. Improved designs and new technology constantly increased the performance of aeroplanes. But in a largely unregulated world many risks were taken and flying was inevitably associated with danger and crashes. In an attempt to improve safety, a valuable prize was announced. The Guggenheim family had made a fortune in mining. Their interest in aviation arose partly because their son, Harry, had been a pilot in WWI. They believed that the post war aviation industry in the US was in a depressed state, lagging behind Europe. In 1926 they created the Fund for the Promotion of Aeronautics which set up schools and research centres at several universities intended to train a new generation of engineers and designers. The Full Flight Laboratory was established at Mitchell Field on Long Island to study ‘fog flying’ and test blind flying instruments. (This culminated in 1929 in the first completely blind take-off, flight and landing by Lt. James Doolittle using instruments developed by Elmer Sperry, Paul Kollsman and others). 4. take off in a ground run of 300 ft and thereafter clear a 35 ft barrier 500 ft from the starting point. There were other detailed requirements including a take off, engine cut and ‘dead stick’ landing within a plot of 500 sq ft surrounded by a barrier of 25 ft.
Handley Page saw this as an excellent shop window for his slot. Armstrong Siddeley offered him the use of a 150 hp Mongoose radial engine and he set about the design of a biplane. 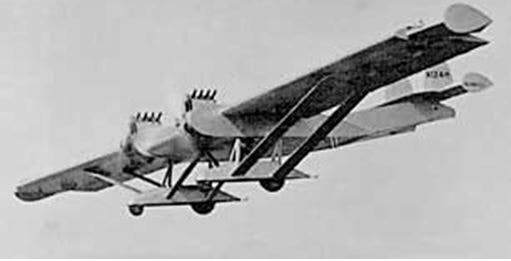 Of mixed wood and steel tube construction full span slots were fitted to both upper and lower wings with full span flaps on the trailing edges of lower wings. The inner halves of the slots were connected with the flaps and there was no manual control. Everything was operated automatically by the airflow. The incidence of the tailplane was variable for trimming. The Guggenheim Competition Biplane was ready for flight tests on 30th April 1929. By this time, Flight magazine had re-named it ‘Gugnunc’ after a character in the Daily Mirror’s children’s comic strip, ‘Pip, Squeak and Wilfred’ and the name stuck. ​It proved to be rather overweight and the drag was excessive. Various windscreens for the draughty cockpits were tried, different propellers were tested, round tubes and wires were replaced by streamlined tubes and various gaps were sealed. They would have liked to do more testing before the Gugnunc was shipped to New York on 25th September. 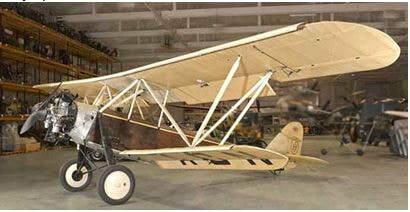 It was assembled at Mitchell field and tested by James Cordes, Handley Page’s pilot. ​The maximum speed was just enough at 112 mph, take offs were satisfactory but Cordes couldn’t achieve the three minute engine off glide at 38 mph. He cabled HP, who decided to go himself and sailed on the Aquitania, arriving on 18th October. The competition was due to start on 31 October. There had been 27 entries for the competition. Only 15 turned up, all American apart from the Gugnunc. Three of the entrants withdrew without flying. For the rest, the continuing bad weather restricted their testing so much that the organisers delayed the start of the competition to 18th November. Attracting great interest was the Burnelli GX-3, unusual in many respects. A feature of Burnelli’s aeroplanes was the ‘lifting body’, a very large centre section of the wing. (In his other designs this was large enough to carry passengers and freight). The 90 hp Cirrus engines and the tail unit were mounted on the twin booms. Then there was the odd undercarriage. The main wheels were close to the centre of gravity and the only shock absorption was the air in the tyres. ​The wings had variable camber. The diagram shows the mechanism, operated by the pilot cranking a wheel in the cockpit. This rolled the leading third of the wing forward and down and extended the rear third like flaps. There were no slots fitted and the ailerons were separate surfaces extending beyond the wing tips. The pilot of the GX-3 was none other than James Doolittle. After some testing the GX-3 was taken back to the factory to remove the tip ailerons and fit them behind the trailing edge of the wing. It didn’t return in time for the competition. Another one gone, eleven left. Two of them crashed; seven of the rest failed the airworthiness requirements. The competition was reduced to two - the Gugnunc and the Curtis Tanager. The Tanager (named after a colourful bird) was slightly larger than the Gugnunc. Its enclosed cabin had room for the pilot and two passengers and its 185 hp Curtis Challenger engine was more powerful than the 150 hp Mongoose. The wings had full span automatic slats and manually controlled flaps. At the end of the short lower wing were large ailerons which were floating. 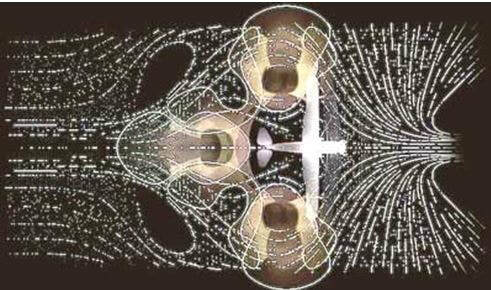 They aligned themselves with the airflow when there was no pilot control input. In practice, they provided excellent roll control. 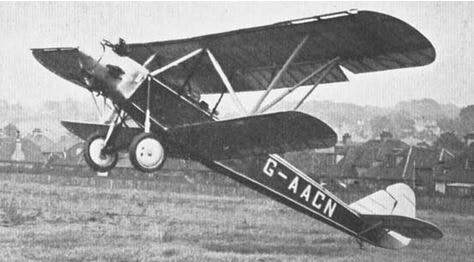 Handley Page had been able to do little to reduce the gliding speed of the Gugnunc. He was already annoyed by the organiser’s flexibility with the rules by moving the start date. Worse still, he was infuriated by the sight of the Tanager, blatantly using his slots without licence or royalty. Even before the result of competition was known, he engaged lawyers and sued Curtis. The competition was scored by the award of points - maximum 200. Both aircraft accumulated points steadily until finally the Tanager was ahead by one point. 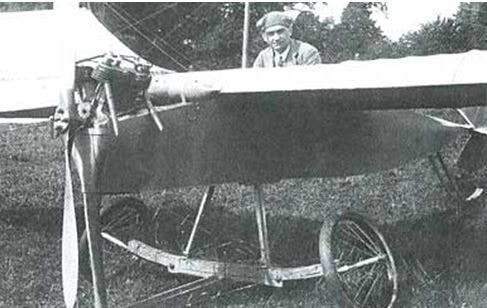 It had achieved 3 minutes of engine-off glide at 37 mph – the Gugnunc at 39 mph. So the $100,000 cheque went to Curtis. The Gugnunc was awarded nothing, not even one of the five $10,000 safety prizes. It was all overshadowed by the lawsuit. Curtis argued that he was using slots purely for scientific purposes and royalties were payable only if the aircraft was put into production. His lawyers quoted a 1920 injunction forbidding the import of foreign aircraft, particularly Handley Page aircraft, into the United States. For a time, HP was not allowed to dismantle the Gugnunc and ship it home – it was impounded as evidence. Endless expert witnesses were called and the case rumbled on for 18 months. Finally, it was all abandoned by mutual consent, Curtis admitted a ‘technical infringement’ and the only beneficiaries were the lawyers. Shortly after the end of the competition the Tanager was destroyed by fire when sparks from its engine set the grass alight. The Gugnunc returned home for further experiments. It was bought by the Air Ministry and allocated to the RAE at Farnborough. Here it is being displayed with a Cierva C.19 Autogiro and the Westland-Hill Pterodactyl, all trying to travel backwards over the airfield in a strong wind. In 1934, the Gugnunc was struck off charge and given to the Science Museum who tucked it away at Wroughton. There it stayed alongside other hidden exhibits like the Boeing 247D and the Lockheed Constellation. In the 1990s it enjoyed a refurbishment. ​At last, in 2016, the almost forgotten Gugnunc emerged from its seclusion. The Science Museum set up a display in the Winton Gallery to show how mathematics has shaped our world. The turbulent airflow behind an aeroplane can be described by interaction of six mathematical formulae. The shape produced is shown by a spectacular flexible display mounted behind the suspended Gugnunc. 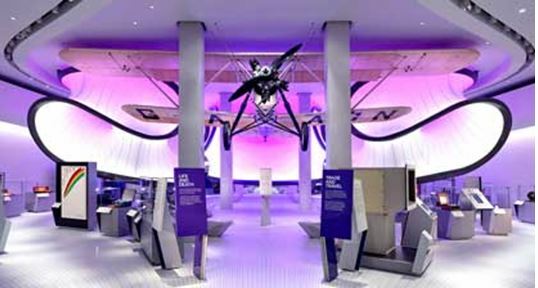 Surely, being the star of this exhibition is a fine way to salute the slot and its significant place in aviation. And who remembers the . . . what was it? . . . Tanager (silly name!) and its floating ailerons?